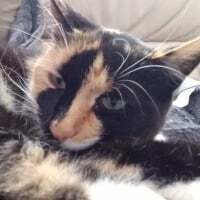 I’m creating this thread in the hopes of discussion of this matter as well as any possible links to articles that anyone might be able to provide for the benefit of the thread. I’m bad at that kind of stuff. Anyhow, for those that haven’t yet heard, Patrick Stewart announced that he’s returning to the Star Trek Universe soon on CBS, with a new series that’s suppose to be about Picard, after TNG and the movies. It’s suppose to be about his continuing life and adventures and such. The premise doesn’t sound that great to me but I could care less because this means more Picard. For those that have more info or even rumors, spread them here please, but do please keep the discussion civil. The stories I've read have said that the return is on CBS All Access, not the free CBS network. That doesn't surprise me, but it does sadden me. I loved Picard as much as anyone but sorry, that sounds awful. Personally I'm glad to see a new series that's set in the future beyond where any of the previous series' have taken place. Let's just hope the writing is up to snuff. Any Star Trek has to be better than no Star Trek I would think. You know Patrick Stewart is going to be great, I just hope that the writing is good as well. First, to @[MP] The Collective I’d like to call you a bas.... but I’m certain that word would come out as poutine or some rubbish like that, lol. Sorry, I’m jealous. @Data1001 I’m also excited to see beyond the Dominion War and Nemesis and also just hope and pray that the writing is more than up to snuff. Well, as long as it’s better than Discovery I’ll be satisfied I’d imagine. I haven’t found any info on a timeline for all this as of yet but presumably it would be, at its earliest, next year some time, but it could be even longer. 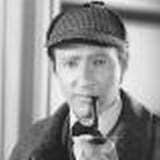 In that regard, I’m hoping and more that so many of the actors that could return as cameos and whatnot will still be alive by then to film the process, including Stewart. After all, none of us are getting any younger. But seriously, CBS may have found the only way possible to force me to pay for All Access. I will watch Patrick Stewart read the phone book. Guys, I just met William Shatner last Sunday, and the dude looked so old. I was like "You poor man, you deserve to be enjoying your 80s, not flying around the country doing Q&A sessions!" I hope Sir Patrick Stewart is up to this. I want to know that he's doing what's best for him. Not just flying around the country — flying around the world. 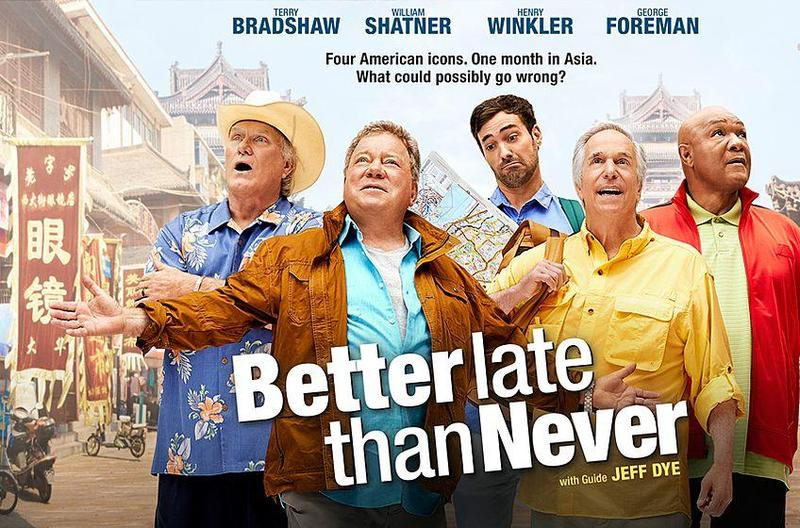 Have you seen Better Late Than Never? Bill is his usual crotchety self, but you do get to see a more sensitive side of him that he hasn't shown before. Even if all the other guys make old age jokes at his expense. Silly (and occasionally scripted) though it may be, I quite enjoyed the show, and hope they do more seasons. Apologies for the off-topic post. We now return you to your previously-scheduled thread, already in progress. I'm interested to see which direction they go with this. For some reason, I doubt it'll be the traditional captain of a starship model. There were ru mors a few years ago of a starlet academy show. I could see this as him being the admiral/commandant in a show like that. Comandant Picard would work. So would Ambassador Picard -- maybe making peace with the Romulans? Ooof, I put my thread on the wroooong forum. Nah, this one will probably get moved there, too. Yeah, saw him some months back 2 and thought the same. Those conventions at least bring him good cash (he is usually one of the if not the most expensive guest one concerning photo sessions and autographs) and the peeps are nice and respectful to him. Not so on his twitter: Nearly every day he gets to hear stuff like "fat old man", "selfish **tsk tsk**" "hasbeen" etc. because people don´t always get what they wish from him. In his age I would close that thing down and indeed enjoy real living, lol. But he replies in a witty way, also has become a lil more down to earth in age. As for the main news: There have been far worse times to be a Star Trek fan. Worried about the age part of thing, but let´s wait and see. Guess this could also mean at least some cameos of other TNG actors. So carefully looking forward to this! 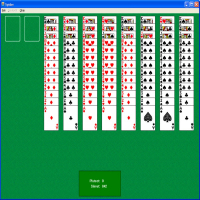 Perhaps bridge series to this? Maybe it’ll cover the promotion of Riker, Picard’s marriage to Crusher. Or maybe they’ll go in a different direction. Wonder if any other cast is returning. Hard to imagine they wouldn’t be worked in somehow. I just don't see Picard retiring. But maybe he finally accepted a desk job? Either way, I have a feeling we'll see him being recalled to the final frontier for something only he has the skills for. Whether it's a Borg attack, some diplomacy stuff (love the Romulan peace treaty idea) or some sort of exoarchaeological mystery - as long as Patrick Stewart is there, I will be too. See, I take issue with this statement. I cut the cord back in 2009. If I wanted to watch Discovery on Space, it would cost me well over 50$ a month to get access to it - all of the basic cable packages available right now are not cheap, and none include Space. Paying 10$ a month for CraveTV feels like a rip-off compared to All Access (and sure as heck is compared to Netflix in the rest of the world, considering I already subscribe). Hollywood is made of actors and directors. They probably feel the second way. Which is why, in Discovery, they made Burnham into Spock's sister, made Sarek a huge part of the series, and are focusing season 2 on Captain Pike. Of course, in their defense, TNG, DS9, Voyager AND Enterprise were basically "here's a new group of people in the same universe you love." The Abrams movies were basically "here are the characters you love, but everything else is different." I personally wasn't a fan. It sure looked cool and explode-y, but it wasn't my Star Trek. My point is, are we as fans more attached to the idea of this character, or to the universe itself? Don't say both. If given the choice between Picard in his later years, or a new show set in, say, 2406, during the era of Star Trek Online, which would you pick? I would watch if it was on regular cable. I will not pay extra for CBS All Access. 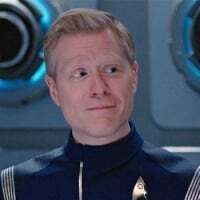 I watched the first episode of Discovery as it was on CBS. Have not seen one since. He has no nephew. They were all in a fire as part of the Generations plot. 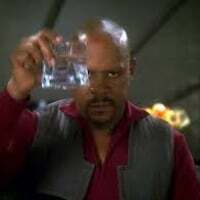 1) I now need Star Trek: The Office in my life. 2) Why can’t we have both? I enjoy the ST universe and the stories that can be made in it but I also have some favorite characters I wouldn’t mind seeing again. Are there people out there who wouldn’t want to see, say, a ten- or twelve-part miniseries about the Earth-Romulan war that has appearances from the Enterprise crew and Idris Elba along with Admiral Valdore and some new characters? Hahahaha, what you're describing is Star Trek: Timelines! "Here are all the familiar faces you love, now mixed up together and thrown into new adventures!" Little story about me - I went on a cruise a few years ago. Took a ton of pictures. Got home, people wanted to see them. Picture after picture of the ships, the landscapes, the sunsets, even the skies. Not a single picture with me in it. They asked me, why? I said, I wasn't there to see myself, I got pictures of everything that mattered to me. The point is, maybe I'm just a lunatic. Pat is back in Trek!!!! YES! Happy Day! In two different timelines they weren't fairing too well by this point. The Tng finale suggested the Klingons had taken them over, the first reboot movie while still allegedly in the prime universe blew up Romulus. 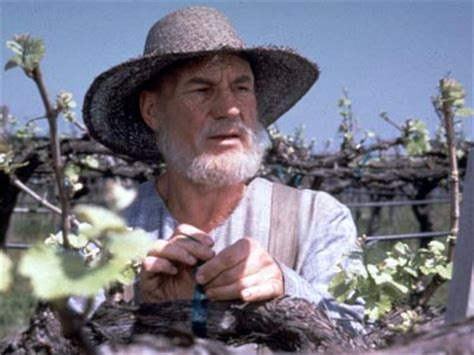 I could see the series starting on the Vineyards much like how the Tng finale started, maybe even with Geordie visiting.. the double Fake out for Picard -and- us who remember that moment from the first time but things going off in a totally different direction.. Either way, sooooo looking forward to it. I have 100% faith that Stewart himself won't allow a stinker to go through. And I don't think he'd do anything to tarnish it.